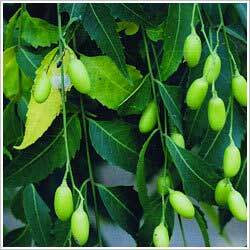 Neem is called as "Tree of Life" due to its many medicinal properties. It is considered antiviral, anti-bacterial & anti-fungal. Neem leaves when boiled in water provide a strong anti-infection solution which can cure many skin ailments & good for rinsing hair, cleaning scalp, cure eczema etc. Anti-Aging: promotes healthy skin, slows aging process. 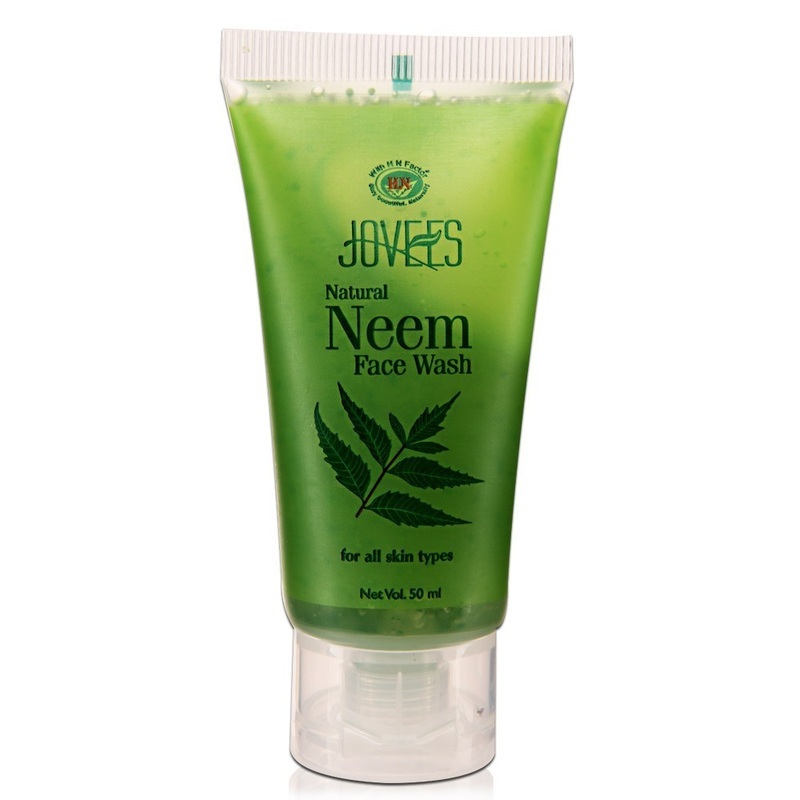 NEEM OIL or NEEM Face Pack is excellent for skin!! Neem Oil is loaded with nutrients. 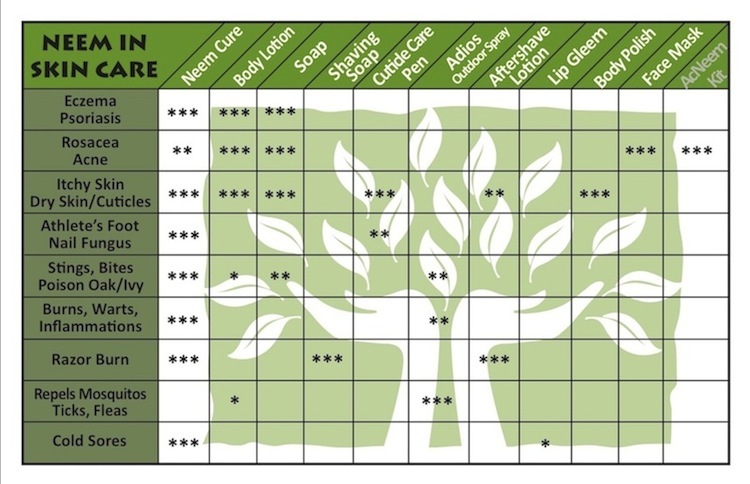 Neem contains extraordinarily high levels of antioxidants that help to protect the skin from environmental damage. Neem Oil is especially high in important fatty acids and vitamin E and is easily absorbed into the skin without leaving skin greasy. 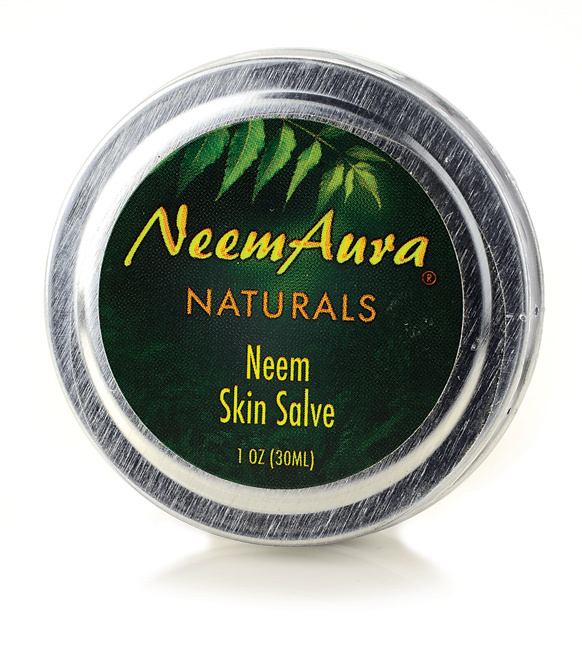 Neem is perfect for smoothing wrinkles and fine lines while helping to prevent the signs of aging. The saturation of antioxidants and vitamin E will help restore a youthful glow to dry or damaged skin and balance skin tone. Method: After cleansing face, take a few drops of Neem Cure (a mixture of Neem Oil & Jojoba Oil) on finger tips and massage gently on to face and neck area every night before bed. Cut about 10 neem leaves and boil them with small segments of orange peel in a little water. Pound them to a pulp. Add a little honey, yoghurt and soy milk, to form a smooth paste. Apply this to your face (can be done thrice a week). This will clear acne and breakouts, dry up whiteheads, pull out blackheads and even reduce the appearance of pores. Honey and Neem are excellent moisturizers. Boil a concoction of neem leaves (about 50 leaves in two litres of water) till the leaves are soft and discoloured, and the water turns green. Strain and store in a bottle. Add about 100 ml of this to your bath water to rid the skin of infections, acne and whiteheads. 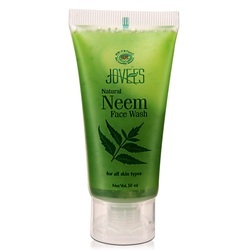 Neem also fights psoriasis, scabies and eczema etc. Skin toner: Dip a cotton ball into the liquid made by boiling about 50 neem leaves in 2 lt water and wipe your face with it every night. This will clear acne, scars, pigmentation and blackheads. This liquid can also be used as a hair rinse to treat dandruff and hair fall. A paste made of neem leaves boiled in water and honey, and applied to the hair, leaves it well-conditioned, without frizz and dandruff. Anti-bacterial properties: The bark and roots of the neem tree in powdered form, can be used to control lice and dandruff. 1. Treat Diabetes: neem has been found to actually reduce the insulin requirements by as much as 50% without altering the blood glucose levels. Take 3 to 5 drops internally each day. 2. Cleanses the blood, & stimulates antibody protection. 3. Used as mouth wash: treats infections, mouth ulcers, bleeding sore gums and will even help prevent tooth decay! 4. Treatment of pink eye: the juice of neem leaves can be used as eye drops, warm 5-10 ml and apply several drops. 5. Treat jaundice: mix 30 ml of neem juice with 15 ml of honey, take on an empty stomach for seven days. 6. Prevents burning sensations and excessive sweating: add 5 to 10 drops of neem oil in a glass of milk before going to bed. 7. Treat psoriasis: 2 capsules should be taken three times daily after meals with a glass of water. 8. Treat psoriasis/eczema, skin ulcers, fungal conditions, cold sores and athletes foot: mix 1 tablespoon neem oil and 4 ounces of olive oil. This should be applied at least twice daily to the affected areas. 9. Treat ACNE: take 2 capsules twice daily, you will start to see results within a few days. 10. To remove moles and warts: one drop of undiluted neem oil should be directly to the mole or wart and then covered with a small bandage. The procedure should be repeated daily using fresh oil and clean bandage. 11. For sinusitis: plain pure neem oil can be used as nasal drops. Use tow drops twice daily, morning and evening. 12. Treat athletes foot: soak feet in warm water with 15 ml of neem oil. Neemoil will quickly stop earaches just warm some oil and apply a few drops into the ear. 13. Treat hemorrhoids: apply some neem oil to a cotton ball and gently rub for about a week. If preferred a paste can be made by adding a small amount of olive oil or Aloe Vera oil until desired consistency is reached. 14. Prevent hair loss & enhance growth: mix a few drops of neem oil with coconut or olive oil and massage into scalp. This will even prevent your hair from graying! 15 . Treat burns and even sunburn: neem oil can kill the bacteria, reduce the pain and stimulate the immune system. By stimulating the immune system it speeds up the healing process and there is less scarring. 16. 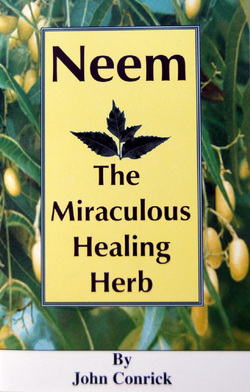 Heals cuts/wounds/pains: Extracts of neem leaves and seeds produce pain-relieving, anti-inflammatory and fever-reducing compounds that can aid in the healing of cuts, burns, ear aches, sprains and headaches. 17. To kill head lice: neem oil should be massaged into the scalp and left on overnight. Shampoo your hair as usual the next morning. 18. Neem detoxifies the body and helps maintain healthy circulatory systems, digestive and respiratory systems and helps to keep the urinary tract free of infections. 19. Boosts the body’s immune system: A healthier immune system helps your body in fighting off many illness and diseases. 20. Helps in treating the symptoms of food poisoning associated with both salmonella and staphylococcus. 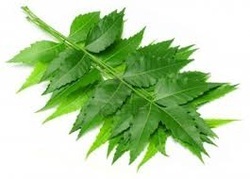 Neem extracts kill the salmonella bacteria and flush it out of your system, reducing the severity of the ailment. 21. Treats sores & relieves itchiness: A neem paste applied directly to the sores caused by chicken pox, will relieve the itching and reduce scarring. 22. Treats COLDS/cough/fever: Drink Neem tea once or twice weekly can even help prevent colds. If you already have the symptoms associated with a cold they can be lessened by drinking neem tea three times a day. It will help alleviate the fever, cough, aches and pains, sore throat, fatigue and nasal congestion. 23. Powerful anti-fungal properties: that have been shown to aide in the treatment of athletes foot, yeast infections, thrush and even ringworm. 24.Helps in treating hepatitis, 80% of test subjects showed a significant improvement. The neem extract can actually block the infection that causes this virus. 25. Treat Influenza: Drinking neem tea during an outbreak of influenza will help alleviate some of the symptoms and speed up the recovery time. Neem prevents virus from infecting the cells. 26.For shingles: neem cream should be applied to the affected area at least 3 times per day. Severe cases should also be treated with neem tea after each meal, but tea should not be consumed for more than two weeks at a time. Thrush can be effectively treated with neem tea, it will reduce the inflammation, reduce the pain and speed healing. Note:Children under the age of 12 should not drink neem tea, & can use it to gargle. 27. Reduces respiratory bacterial infections by inhaling steam from boiling the leaves. 28. Lower Cholesterol: either take the capsule form or the extract. Scientific studies have proven that neem will reduce blood clots, heart irregularities and even reduce blood pressure. Results can be seen within one month on a regimen of extract or capsules. Neem will increase the body’s production of T-cells, which will attack infections. 30. Cures headaches: neem powder or oil should be applied to the forehead. 31. Treatment of Arthritis:The inflammation, pain and swelling of the joints associated with arthritis can be greatly relieved with the use of neem. Neem changes the immune systems response to arthritis and can halt the progress of this disease. 32. Reduce tumors: Clinical research has shown remarkable effects in the reduction of tumors and cancers and also in treating leukemia. 34. Treat Blood disorders such as blood poisoning, kidney problems and poor circulation have been benefited by the use of neem. 35. 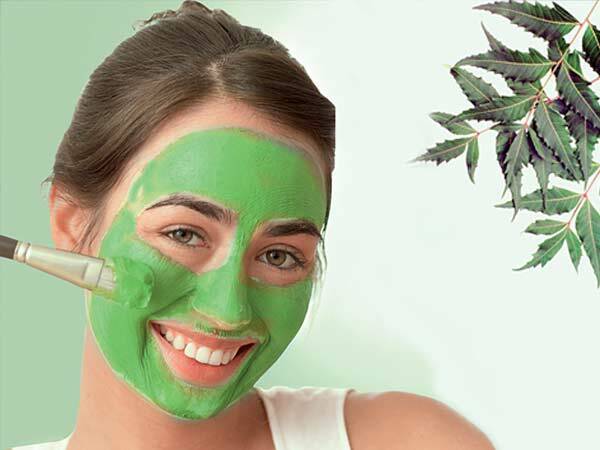 Make Beauty/Health products: Neem oil, leaves and neem extracts are used to manufacture health and beauty care products. 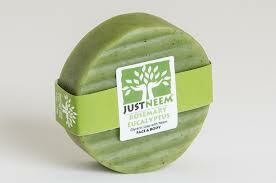 Some products that use neem include soaps, bath powders, shampoos, lotions and creams, toothpastes and neem leaf capsules. They can be used to increase immunity, as a skin purifier or even as insect repellents, and pet care products. With all of the countless medicinal benefits, NEEM is also being studied very closely for a treatment for AIDS, cancer, allergies, diabetes and both male and female forms of birth control!